We prepare corporation tax returns to include C and S corporations, partnerships and sole proprietorships. Our clients in this area range from small, one owner companies, to large, multi-national organizations. We provide monthly bookkeeping services to business clients ranging from data entry to absentee controller functions. We provide payroll processing services for businesses that don’t want the expense of having a payroll clerk. We also prepare monthly, quarterly, and annual payroll tax returns to include Forms 941, 940, State forms, Department of Labor forms and W2s. These can be prepared both by paper and electronic filing methods. We provide this unique service to cater to the needs of the growing business that can’t quite justify hiring a full-time bookkeeper, or have a need for a part-time bookkeeper. One of our team members will come out to your business to provide this service, as needed. We prepare financial statements for businesses in accordance with generally accepted accounting principles, tax basis or other accepted basis for the needs of the business owner. We provide the attestation service of audit of financial statements for businesses to use in making crucial financial and management decisions. We provide the attestation service of review of financial statements for businesses to use in making crucial financial and management decisions. Reviews are less in scope than audits and do not provide the same level of assurance. We provide the attestation service of compilation of financial statements for businesses to use in making crucial financial and management decisions. Compilations are less in scope than audits and reviews, and do not provide any level of assurance. We provide the attestation service of agreed-upon procedures, where financial data is tested and examined for various outcomes. This is helpful when the business owner wants to have work performed over a different period of time than the standard calendar year. This service can include inventory counts, accounts receivables, payables, cash disbursements, internal controls, etc. We provide various consulting and planning services for businesses based on the individual needs of the client. This can vary from succession planning, buying and selling the business, to startup of a new business. We prepare sales tax returns for businesses based on particular needs of the client. We provide services to prevent and detect fraud in your business. R. Lee Jennings is managing partner in the firm of RL Jennings & Associates an accounting firm with offices located in Rome and Ellijay Georgia which serve all of Georgia, the Southeast and various parts of Europe and Southeast Asia with a full range of audit, tax and consulting services. Lee has served and currently serves on several committees of the Georgia Society of CPA’s on both the chapter and state level. He is a past President of the Educational Foundation of the Georgia Society of CPA’s, vice chair the Assurance Section and a former member of the Ethics Committee. He is the Past President and Chapter Representative for the Rome Chapter of the Georgia Society of CPA’s during which time they were named Small Chapter of the Year by the GSCPA. GA, Inc. He is a member of the Rome Rotary Club, Lexington Who’s Who Among Executives and Professionals and National Registry of Who’s Who. RL Jennings & Associates, PC was named Rome Floyd County Small Business of the Year for 2009. Lee was inducted into the Berry College Alumni Association Hall of Fame for Entrepreneurial Spirit in 2011. He has spoken frequently on radio and in person on technology and technology related issues involving individuals and small business. He graduated in 1985 from Berry College with a B.S. in Business and Accounting. Upon graduation he attended the US Army Signal School for both the Officers Basic and Advance Course in Signal Communications, spending 20 years in the Army Reserve in communications engineering. He is licensed to practice Public Accountancy in Georgia, Alabama, Tennessee and North Carolina and is a fellow member of the Georgia Society and Alabama Society of CPAs, as well as the American Institute of CPAs. He has the designation of Certified Forensic Claims Accountant and Certified Global Management Accountatnt. In his spare time he rides his Harley Davidson motorcycle and goes camping. 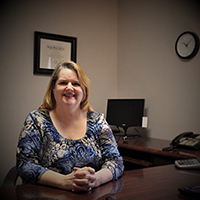 Kathy Washington, CPA is a Senior Tax Manager for the Rome branch of RL Jennings & Associates. Sarah is a lifelong resident of Rome, Georgia and a graduate of Shorter College and received her Masters Degree from Berry College. She has spent 30 successful years in the accounting industry. In her free time, she enjoys spending time with her granddaughter. 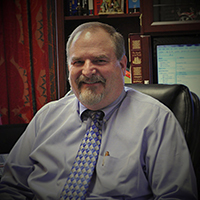 Marvin Chance, CPA is the Office Manager and the Senior Manager for the Ellijay branch of RL Jennings & Associates. Marvin is a lifelong resident of Gilmer County and a graduate of North Georgia College. He is a Certified Public Accountant who has spent 24 successful years in the banking industry. Marvin enjoys traveling with his wife Judy, and visiting his daughter Kaitlin who is a Registered Nurse at Children’s Health Care of Atlanta. In his free time, he enjoys researching his family’s genealogy. 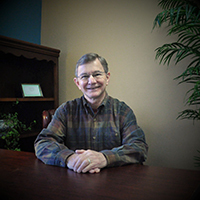 Tom Evans, CPA is a Senior Audit Manager for the Ellijay branch of RL Jennings & Associates. 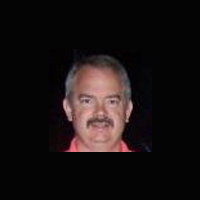 Tom is a resident of Gilmer County and a graduate of Florida State University. He is a Certified Public Accountant who has spent 30 successful years in the accounting industry. In his free time, he enjoys traveling with his wife. 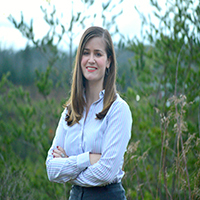 Sarah Dunn, CPA is a Senior Accountant for the Ellijay branch of RL Jennings & Associates. Sarah is a lifelong resident of Fannin County and a graduate of North Georgia College and Auburn University. She is a Certified Public Accountant who has spent 5 successful years in the accounting industry. 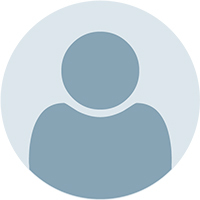 Kelley Wood is a Senior Accountant for the Rome branch of RL Jennings & Associates. Kelley is a lifelong resident of Gaylesville, Alabama and a graduate of Athens State University. She has spent 17 successful years in the accounting industry. In her free time, she enjoys working on her farm with her husband Kenneth. 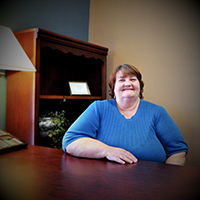 Deb Vincent is a Senior Accountant for the Rome branch of RL Jennings & Associates. 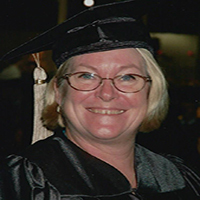 Deb is a resident of Fort Payne, Alabama and a graduate of the University of South Florida and Indiana University Northwest. She has spent 16 successful years in the accounting industry. In her free time, she enjoys riding, fishing and boating with her husband Danny. Cindy Deaton is a Senior Audit Manager for the Rome branch of RL Jennings & Associates. Sarah is a lifelong resident of Forney, Alabama and a graduate of Jacksonville University. She has spent 17 successful years in the accounting industry. In her free time, she enjoys working with children at her Church with her husband Tim. 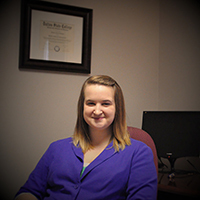 Heather Shiflett is a Senior Accountant for the Rome branch of RL Jennings & Associates. Heather is a lifelong resident of Gordon County, Georgia and a graduate of Dalton State College. She has spent 4 successful years in the accounting industry. In her free time, she enjoys working on crafts and with her husband Nick. 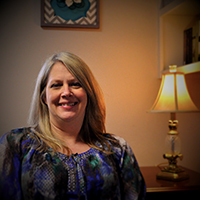 Kari Taunton is a bookkeeper/office administrator with RL Jennings & Associates. She studied business management at Lanier Technical College and has 9 years experience running and managing a successful business. Her favorite part of bookkeeping is helping customers in any way she can to make life easier for them. Kari is a resident of Gilmer County and lives there with her 2 children, Brianna and Jacob. In her free time, she enjoys spending time with her family or sitting down to a good book.